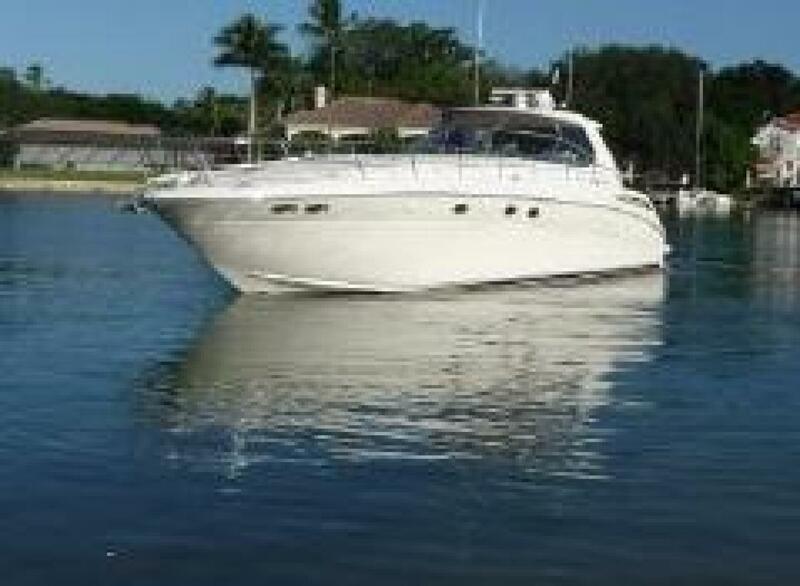 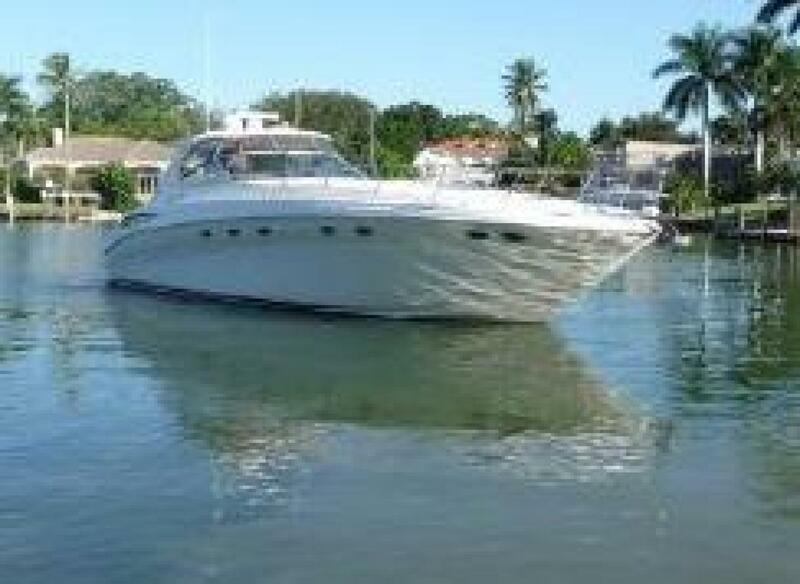 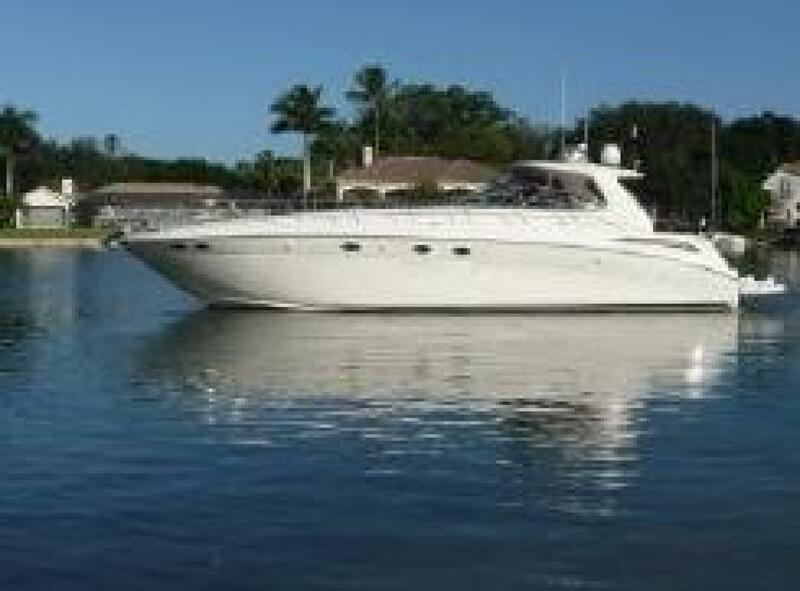 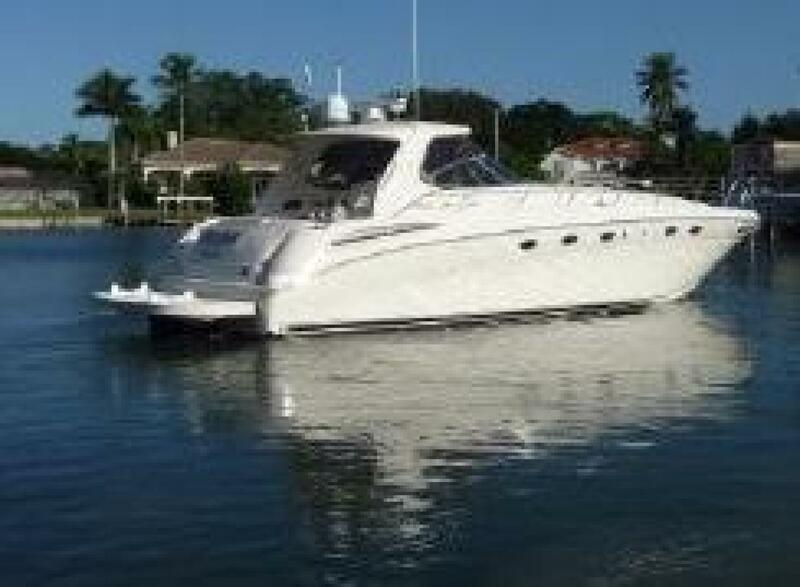 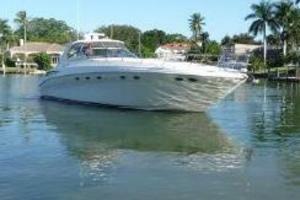 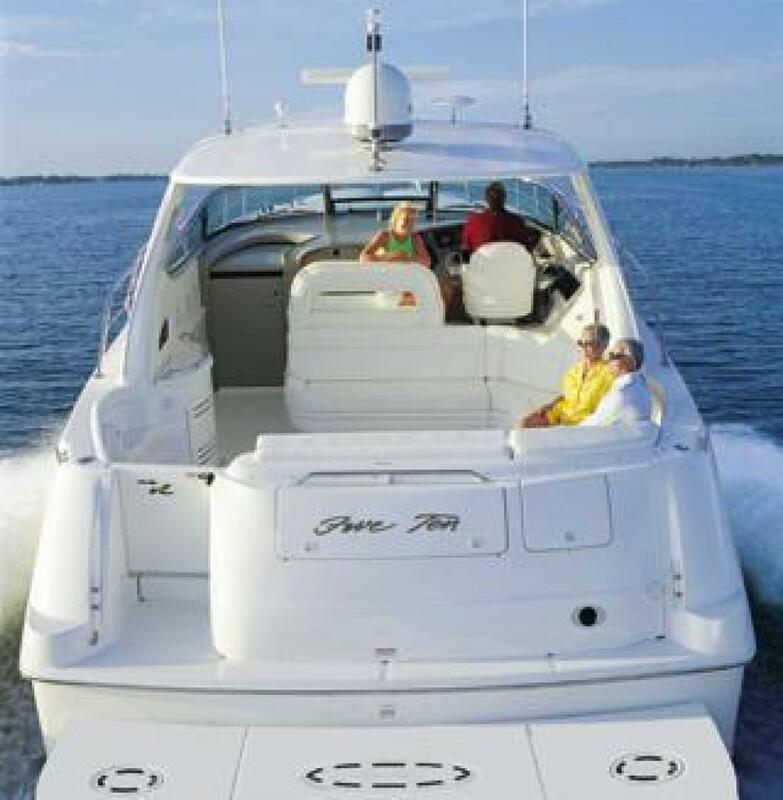 Powered by Twin Caterpillars diesels, the very popular 510 Sea Ray Sundancer and loaded with every factory option available. 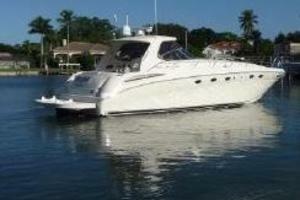 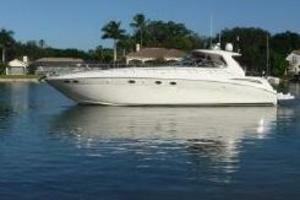 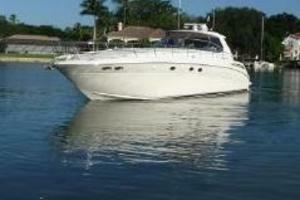 She has been well maintained by a very knowledgeable owner and will satisfy the most particular buyer. 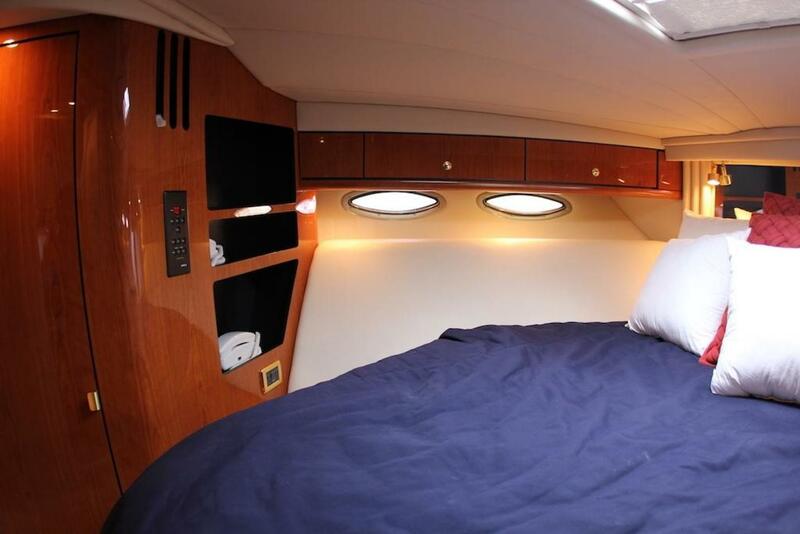 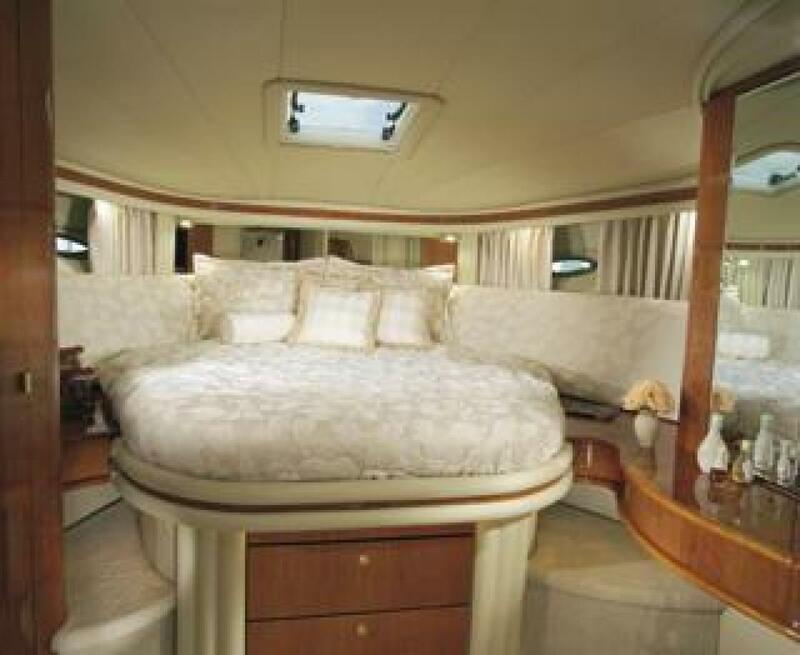 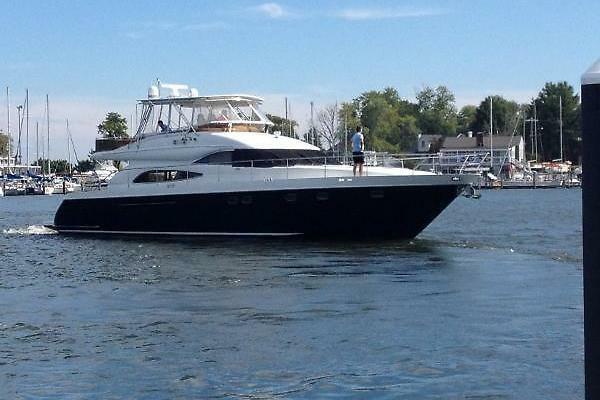 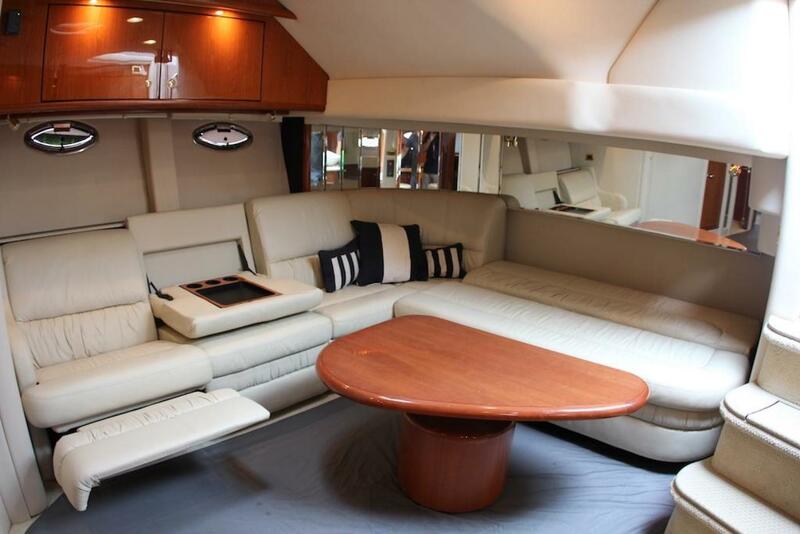 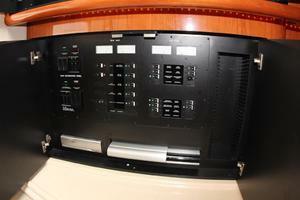 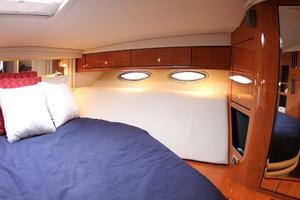 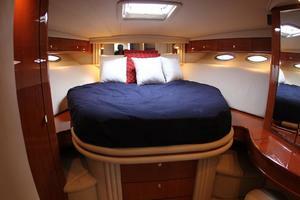 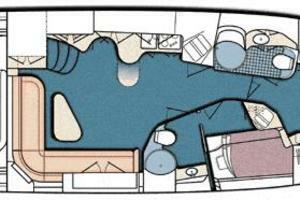 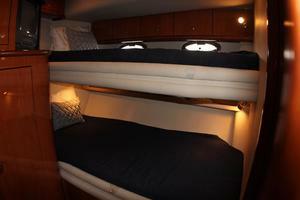 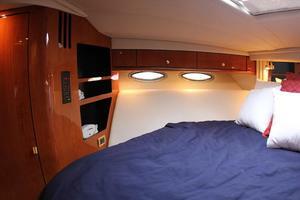 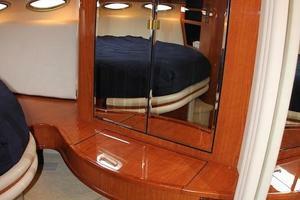 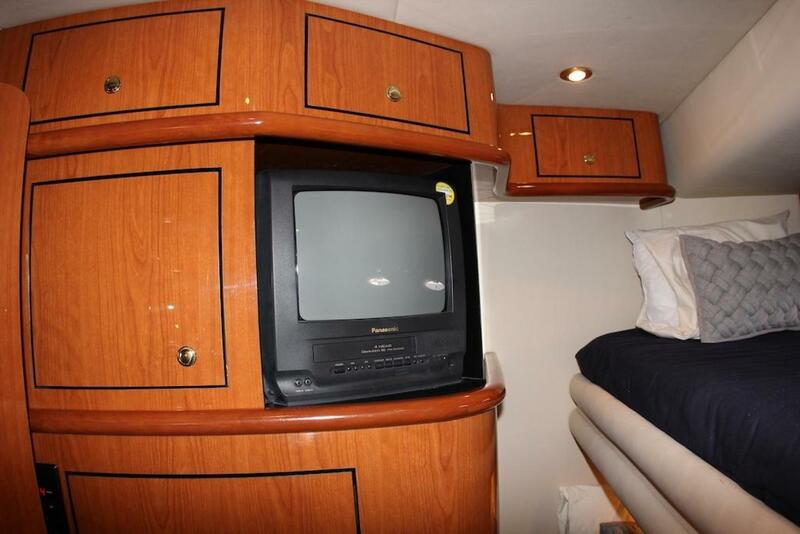 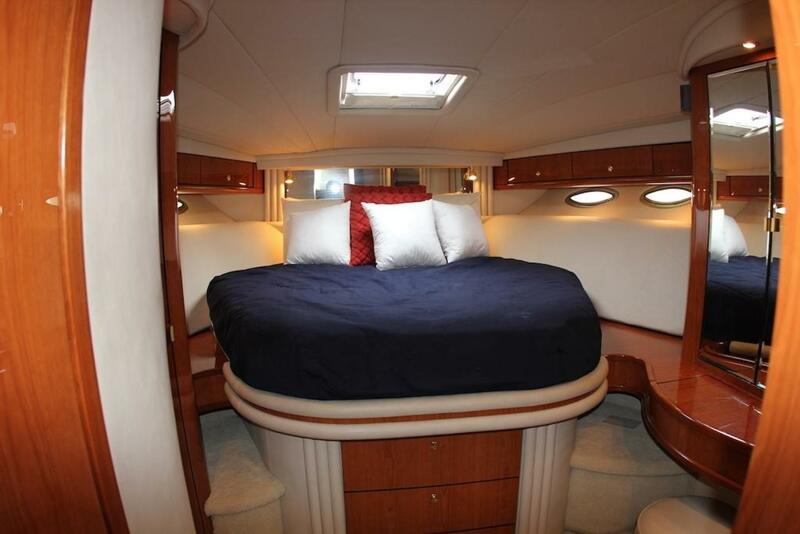 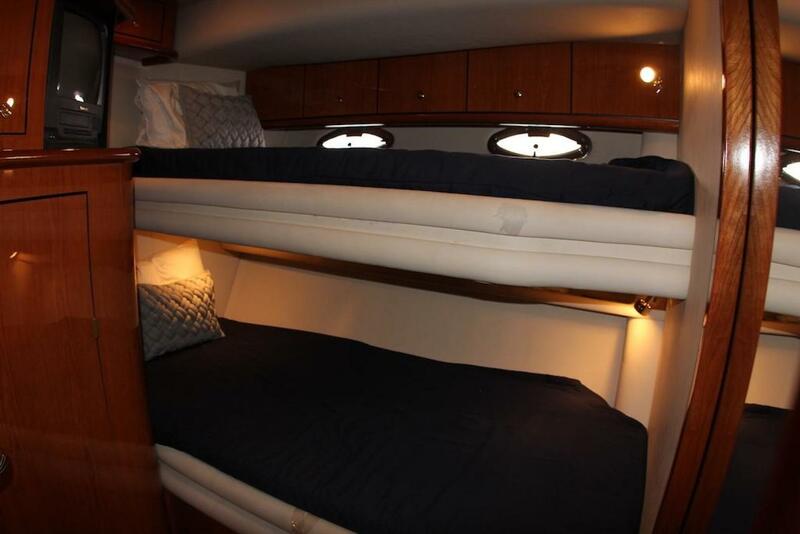 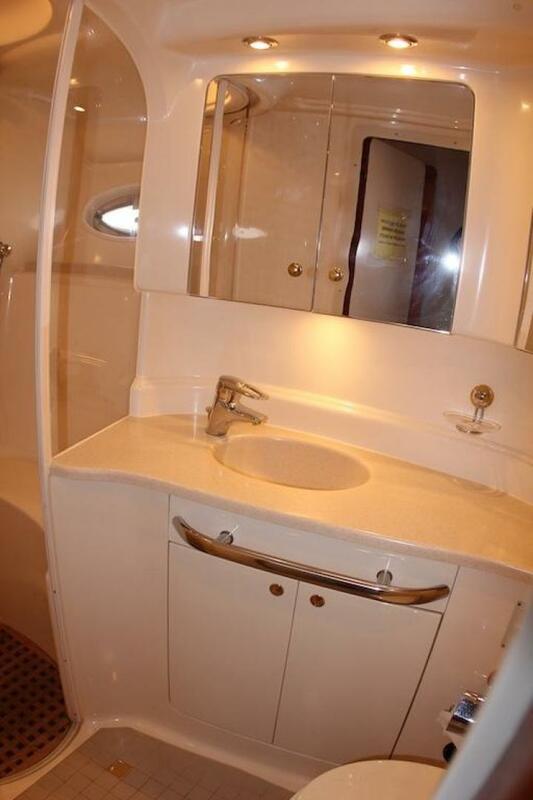 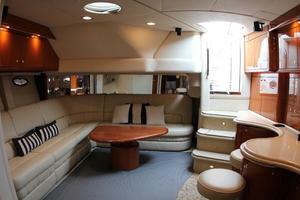 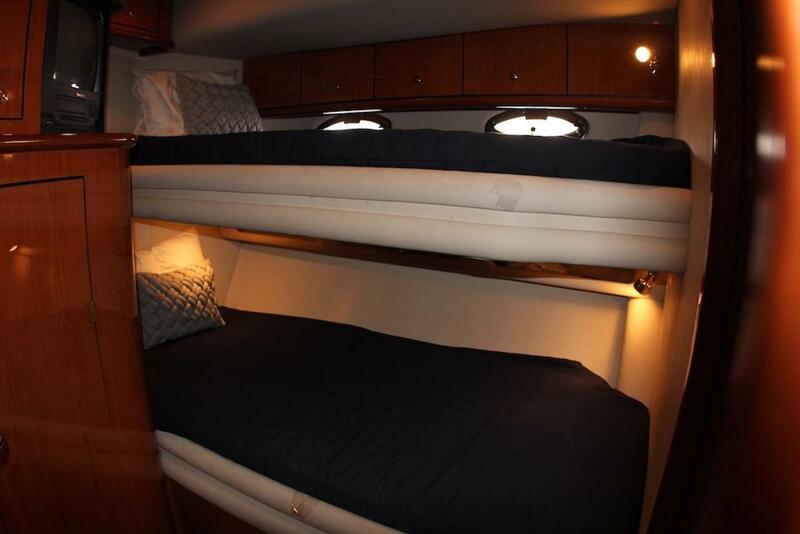 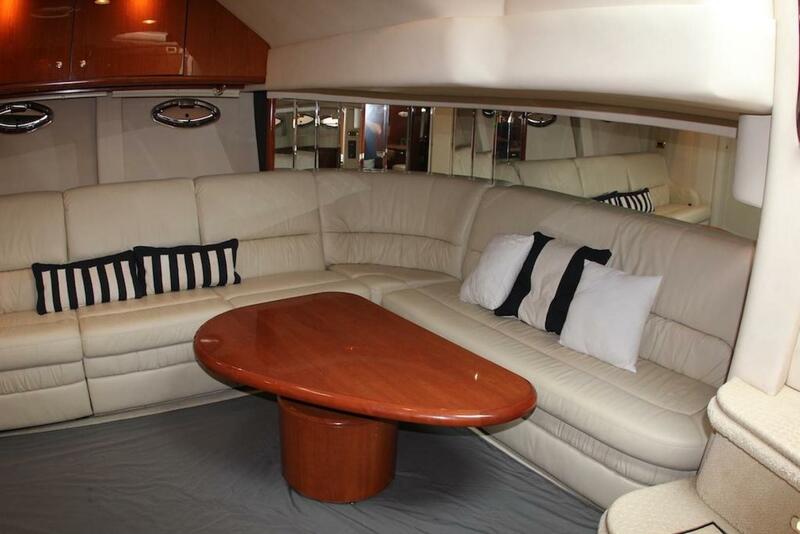 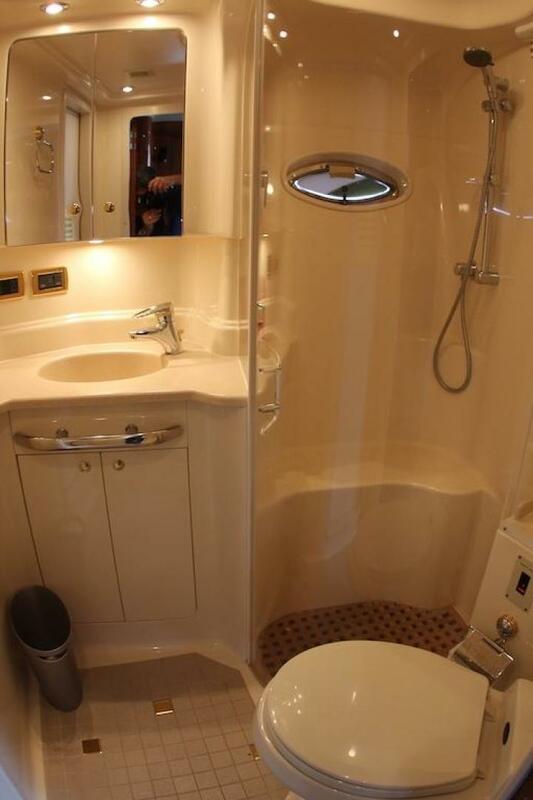 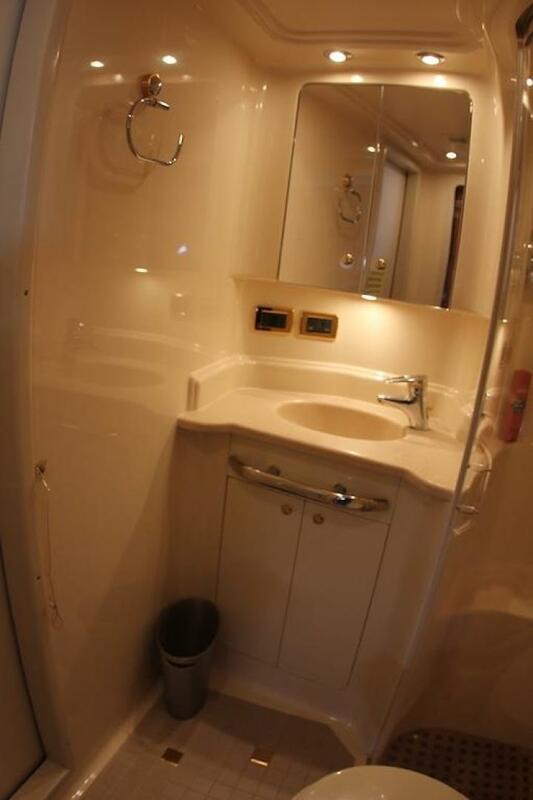 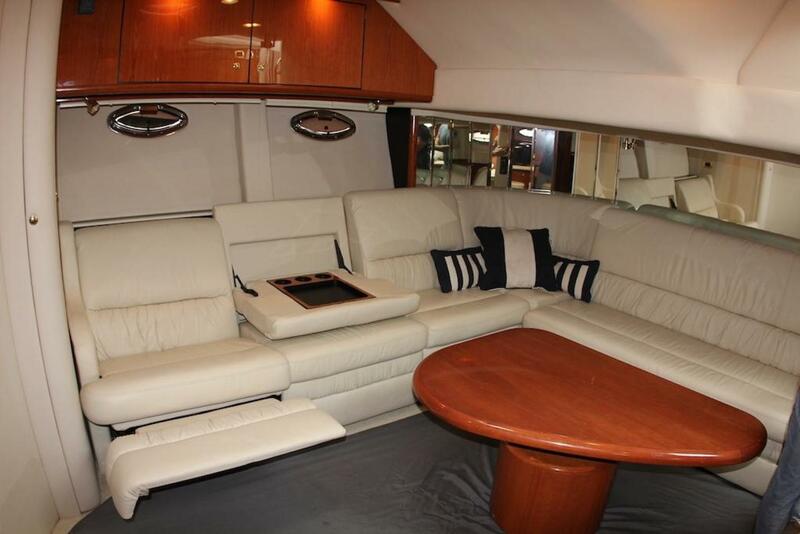 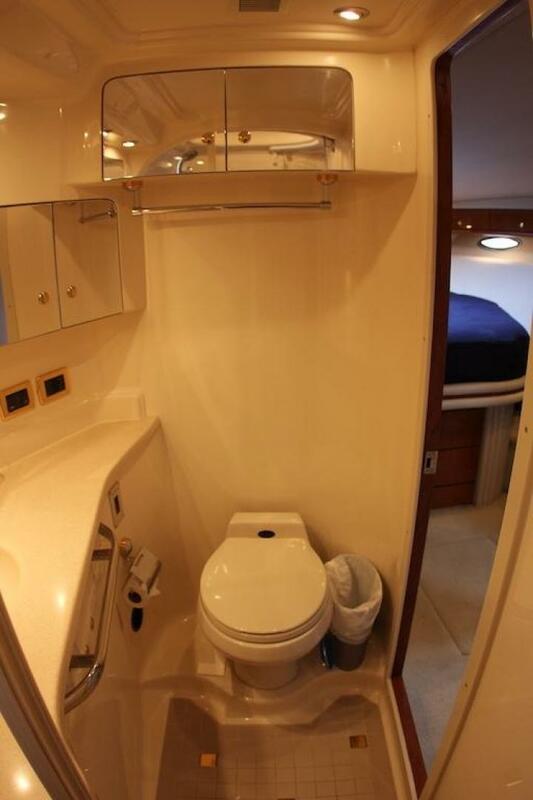 The 510 Sundancer's wide beam allows for a surprisingly spacious interior that features a two stateroom layout, including a center-lined master forward and a guest stateroom to starboard with upper and lower bunks.The large main salon with ultra leather sofa featuring an electrically operated slide out bed. 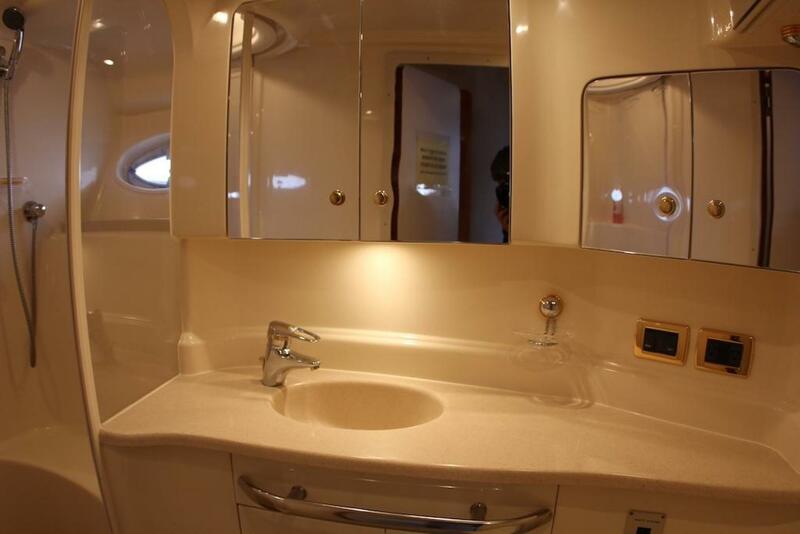 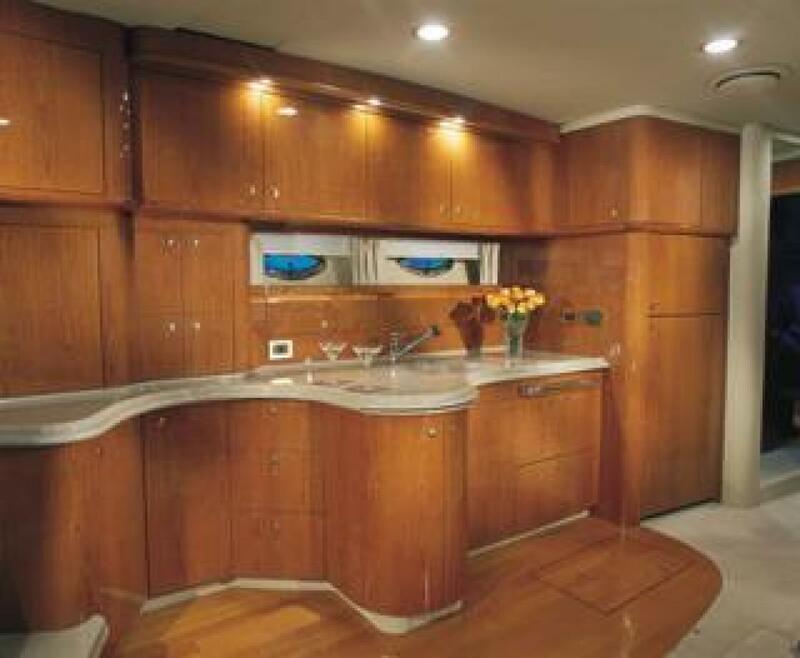 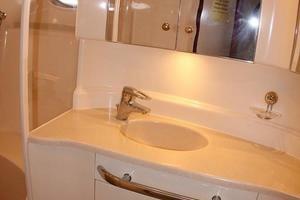 The galley runs the port-side of the boat with Corian counter-tops, hideaway mini bar, full size refrigeration and updated marble flooring. 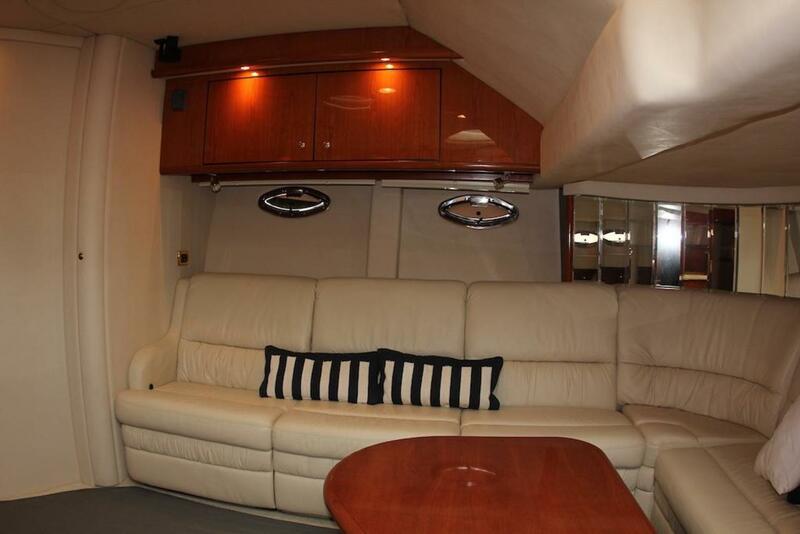 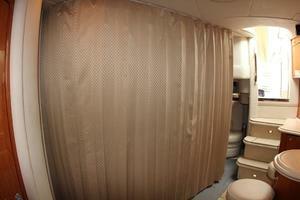 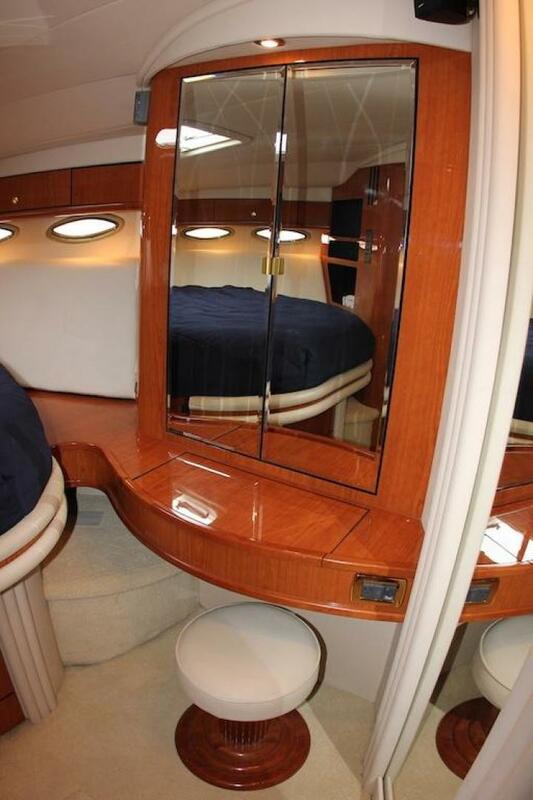 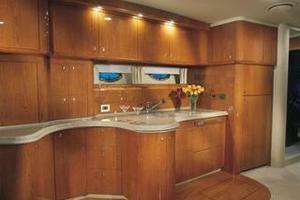 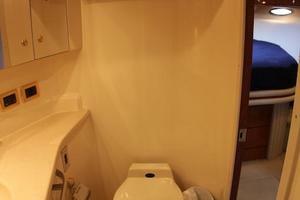 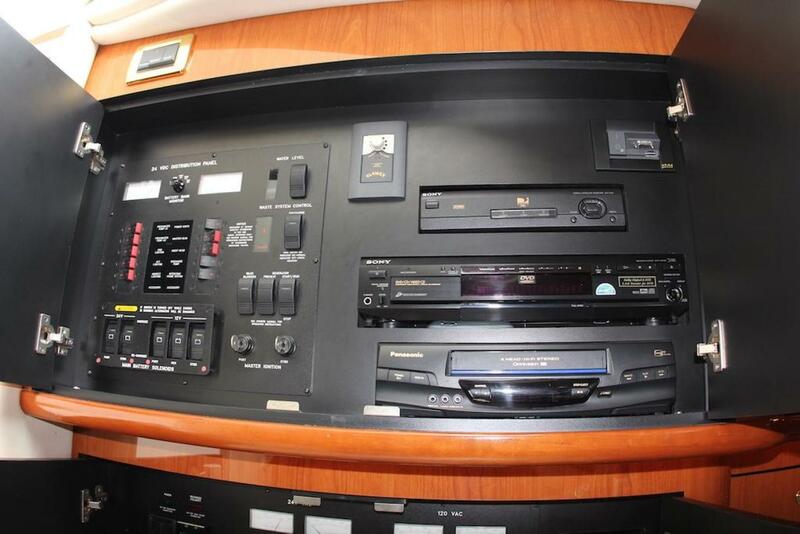 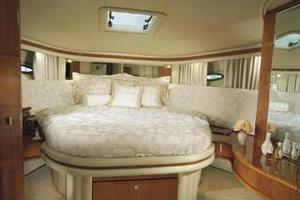 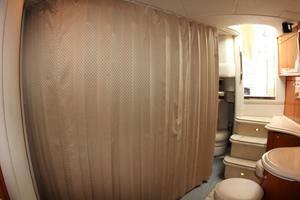 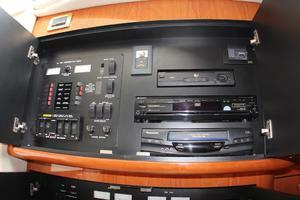 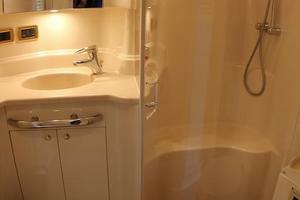 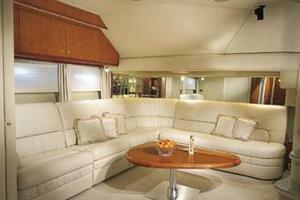 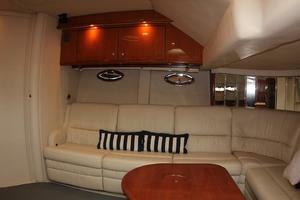 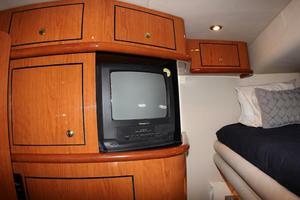 She has cherry interior paneling and carpeting with protective carpet covers throughout. 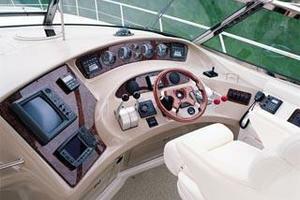 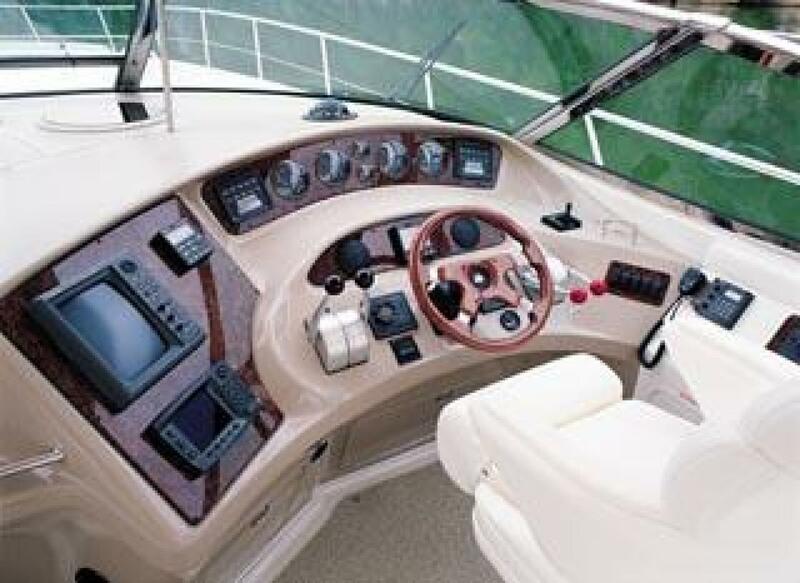 The Sea Ray 510 Sundancer features a raised helm design that's seaworthy, superbly luxurious, and impeccably appointed. 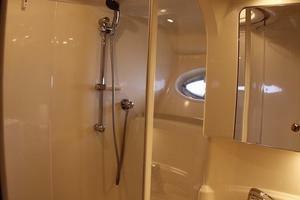 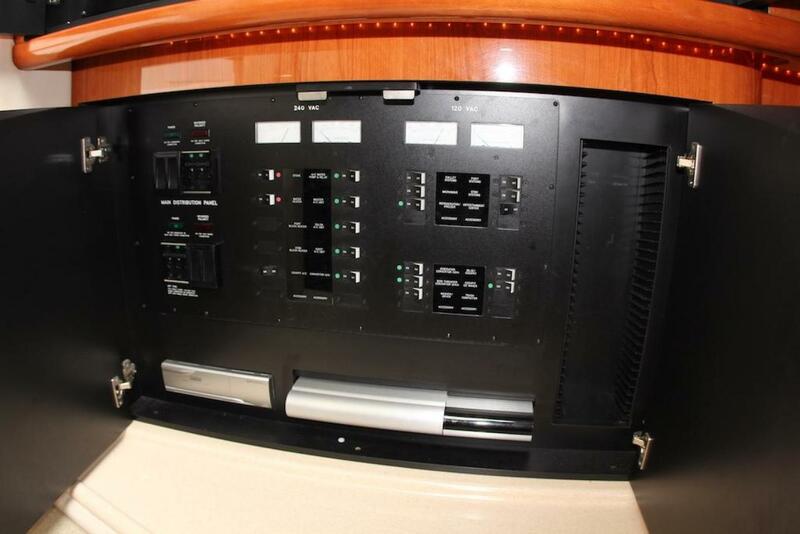 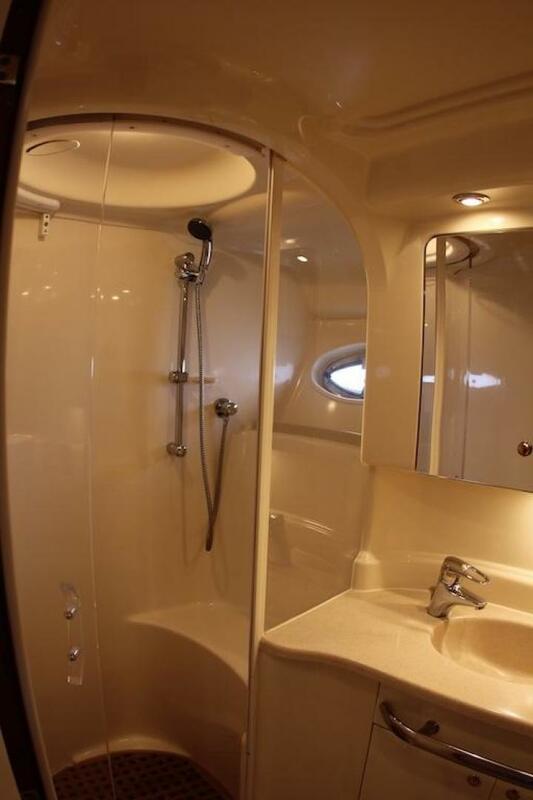 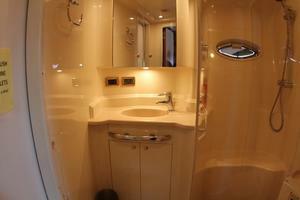 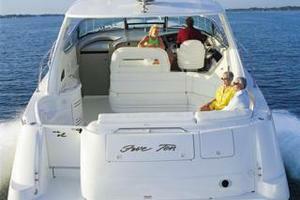 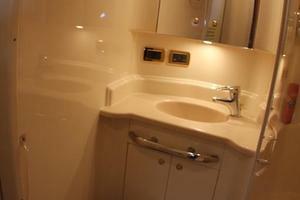 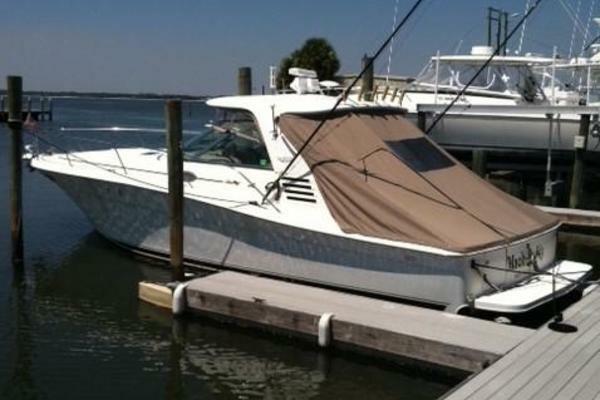 This boat remains prepared to provide the utmost comfort in a variety of aquatic environments and conditions. Ultra-leather sofa with electrically operated slide out bed on one side and a pull out lounge chair and the other. 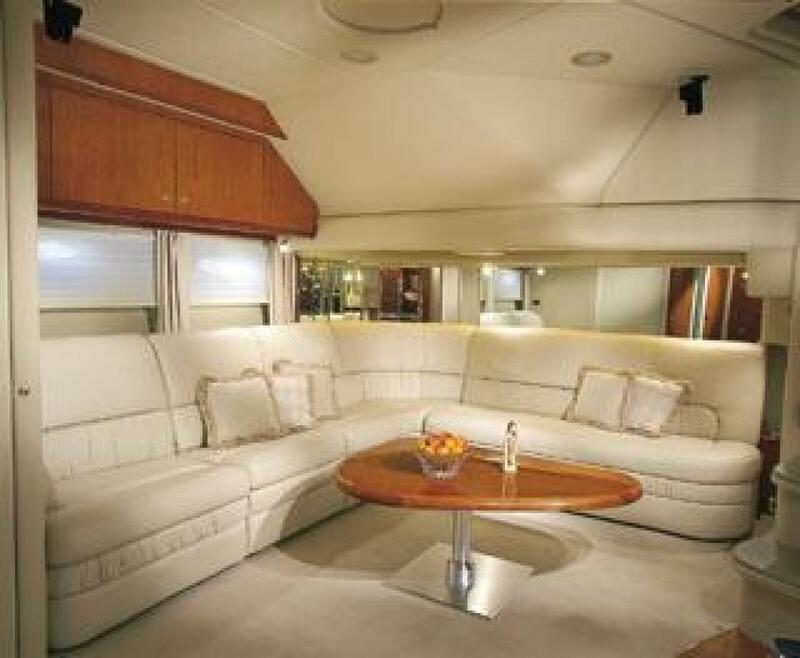 Cherry interior with tan carpeting with cover. 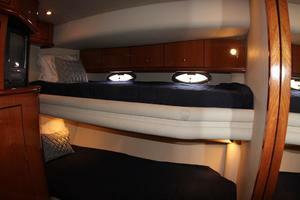 Twin-660 HP 3196 Caterpillars with only 900 hours.